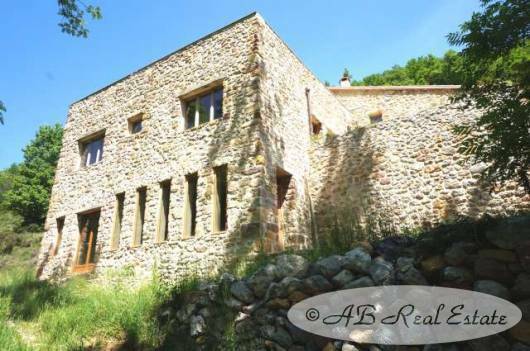 This unique Catalan stone Mas is set in the beautiful region of Vallespir, Languedoc Roussillon, Occitanie, South of France. 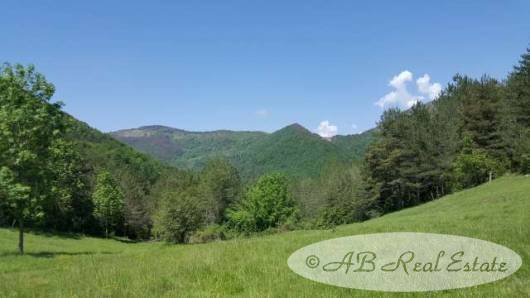 Sitting in a dominant position on a hill and overlooking the valleys and mountains, it's surrounded by mountain grassland, juniper trees, wild thyme and lavender, some plum trees below and an oak forest above the Mas. It is very rare to have such an extraordinary, removed, south facing situation with breathtaking views, so everything has been thought here to point out the beauty of the setting, from every room but also from the several terraces with their panoramic views over the mountains. The bioclimatic and ecologic renovation has been carried out to reduce the house's environmental impact at the best, but by preserving the house's authentic character. The scenery changes every day, with the weather, with the seasons… nature lovers will be charmed by this great spectacle! 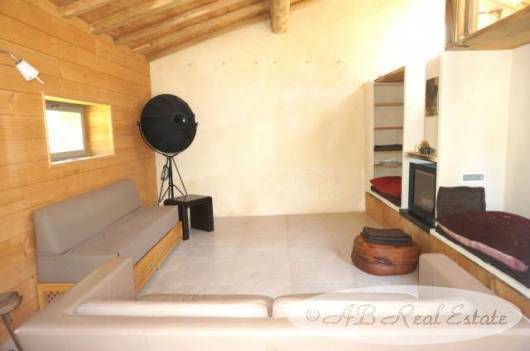 The owners have carefully paid attention to keep the Mas' charm and authenticity with lime walls, exposed stones, beautiful beams, wooden ceilings etc. The bioclimatic renovation complies with four main functions: to absorb the sun's radiation, to stock the captured energy, to distribute and to regulate the gained heat. Same thing for the water with a capture of source for the water supply of the Mas. A fantastic, totally private situation with breathtaking panoramic views - just perfect for nature lovers and very suitable for seminars. The stone Mas offers 240m² of living surface on 3 levels. 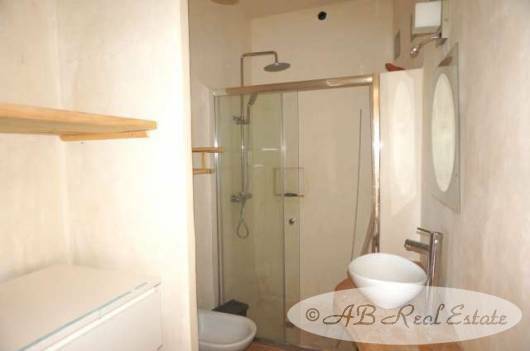 Ground floor: Yoga room 34m², heating room 10m², workshop 7.5m², shower room 4.5m². 1 floor: Bedroom 1 with shower room 17m², bedroom 2 with shower room 15m², bedroom 3 with shower room 17.5m², bedroom 4 with shower room 21m², bedroom 5 with access to terrace 12m², bedroom 6 with shower room and access to terrace 18m². Large terrace. 2nd floor: Independent external access, living room 22m² with fireplace insert and access to terrace, separate kitchen with cooking island and access to terrace 22.5m², office 5m², dovecote 2.25m², shed 6m², WC 1m². 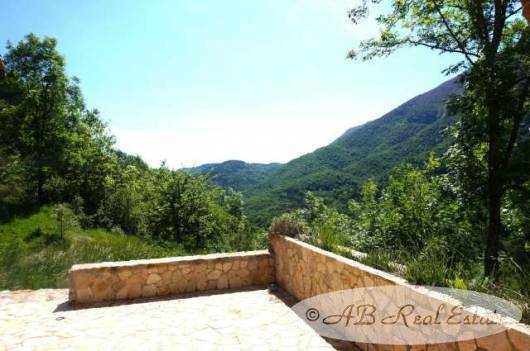 Very large terrace 60m². Several terraces to contemplate the great views and to savour the absolute silence. 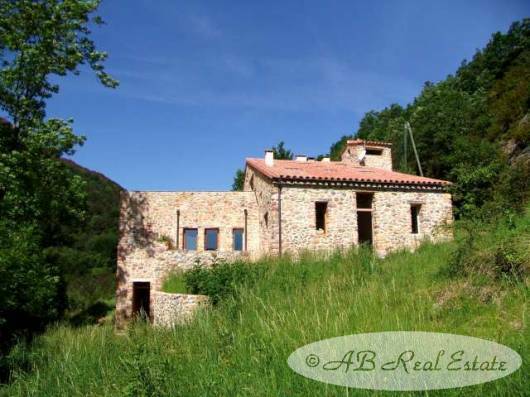 The property sits in a valley on a sloping plot of 8 hectares. Several terraces invite to great moments of contemplation of the stunning views from every level of the Mas. The garden is very nicely landscaped with charming stone stairs, trees and typical Mediterranean shrubs and flowers blooming all year round. It has a very low need of maintenance. 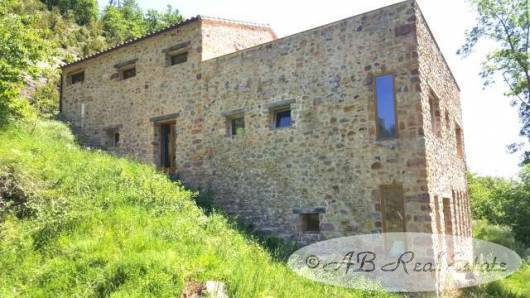 This property has been renovated and rebuilt with great attention to detail and with an ecological approach. Today it is not lived in and needs some maintenance to find its perfection. 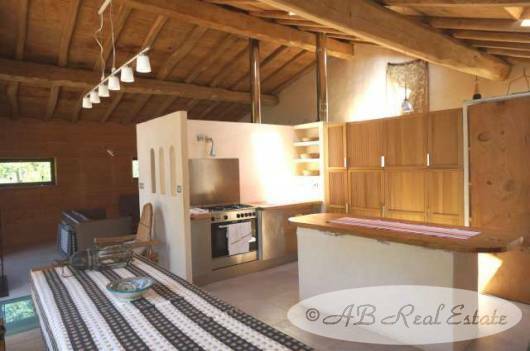 Underfloor heating by log boiler for the whole house with the exception of 3 bedrooms. Solar panels, 5000l rainwater collector, insert fireplace. 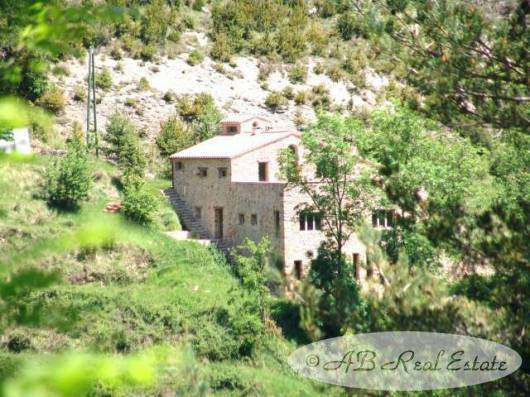 An outstanding property with breathtaking views and an absolute calm that will never end to charm you. And around you: just nature… Love at the first glance guaranteed!